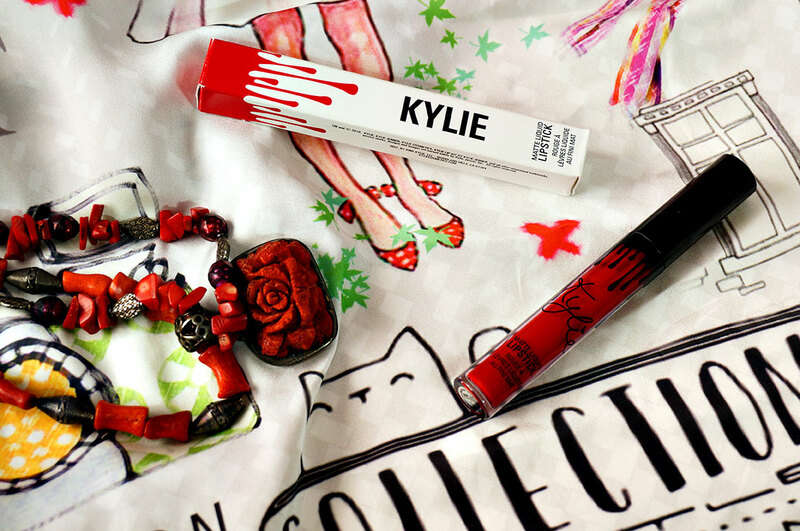 Kylie Liquid Lipstick - Is it worth the Hype? I waited so long to get myself a Kylie Lipstick because I was hearing more bad than good feedback. Yet surprisingly she is ALWAYS sold out, hmm. I didn't go for the lip kit because I felt it was too expensive and I usually don't use lip liners as I prefer neutral or clear lip liners. So when I finally got my Kylie Matte Liquid Lipstick in Mary Jo K I put it to the test. I actually bought my Kylie lipstick last September but was not driven enough to write about it till now. I felt I should share my experience too though a million others have already reviewed them. 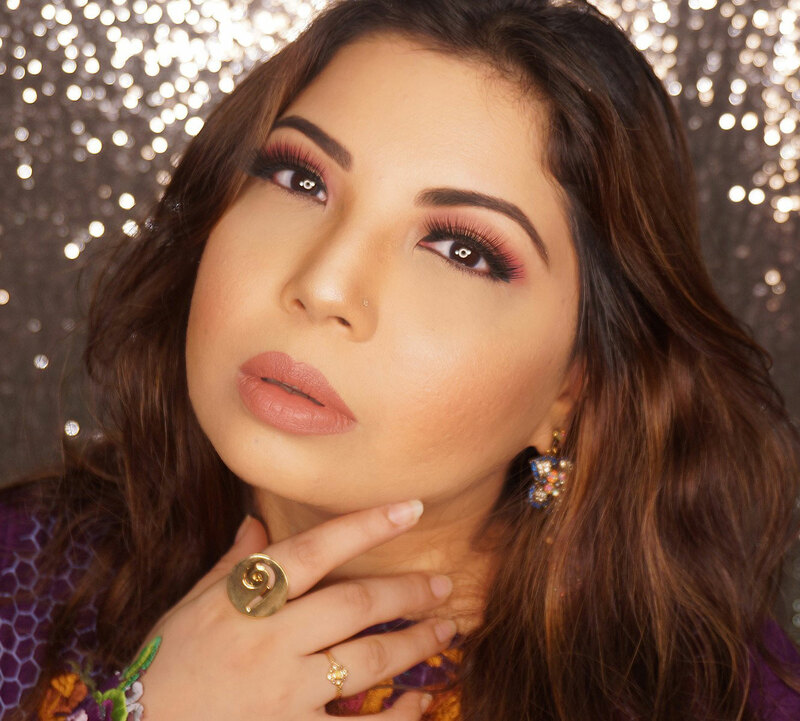 "The Matte Liquid Lipstick has high intensity pigment for an instant bold matte lip. The extremely long wearing lipstick contains moisturizing ingredients for a comfortable, emollient and silky feel that does not dry your lips out." In all honesty a brand has never been so wrong. My experience so far with the Liquid Lipsticks as well as a few other Kylie products that I have tried through my friends' makeup stash has been nothing but a series of disappointments. Let's start with packaging, the entire range is very nicely executed and fun. The outer packaging is well designed with clean text and easy to open box. The lipstick tube itself is good quality plastic with a nice dripping design. The doe tip wand is not user friendly though and smudges a lot. Application is not as smooth and after a few uses the tip became poofy and smudges even more. 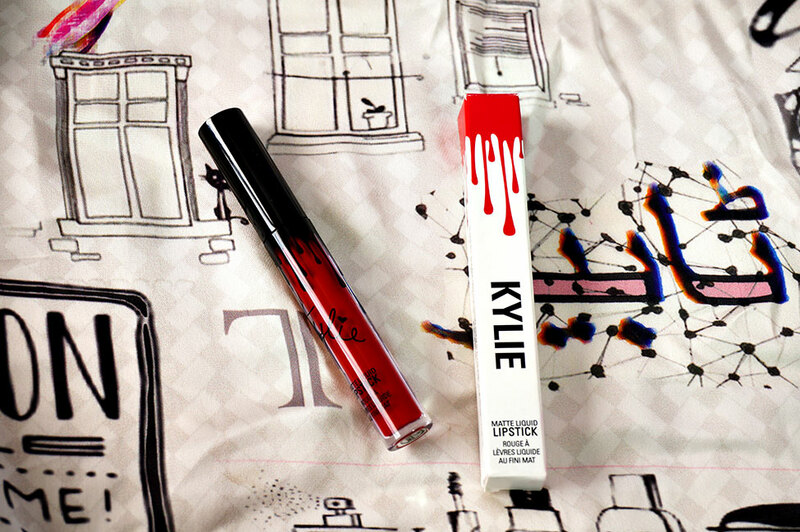 The shade I ordered was Mary Jo K (names after Kylie's Grandmother) which is a true red with cool undertones. I like the shade a lot. 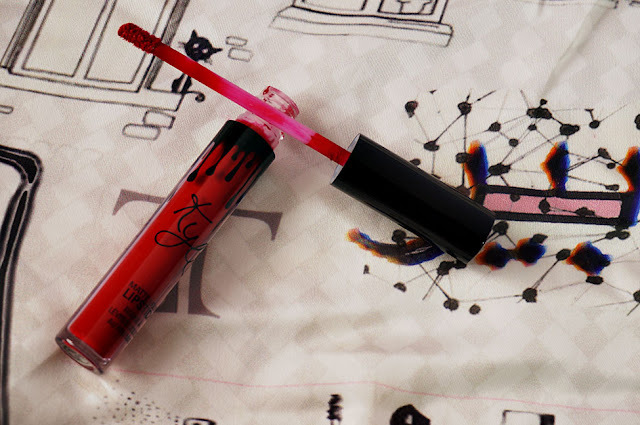 The formula is more liquid ink than mousse and apply easily (great with lip brush). Dries quickly and extremely pigmented. One swipe is good to go. Point to note, ALL matte liquid lipsticks are supposed to be at least a bit drying but this one is a extra. It will last you all night (and some more) and will stay put no matter what, however, it does flake around the corners. The texture is also not smooth or silky; rather brittle, starts cracking and intensify lines. If you don't use a line the color also tends to bleed a little. Even though I do use this lipstick a lot but I am not going to buy another. I feel that the quality of the product is not worth the money we are paying for. There are brands which are better quality and more affordable so are we buying this liquid lipstick because of how good it is or because of Kylie? I am sure most of us know the answer. If you want to try this brand I suggest order one liquid lipstick and test it first while making sure you get a safe color that is bound to suit you. I don't dislike this lipstick but I find many others much better in terms of quality as well as investment. The liquid Lipstick is for $17 and Lip Kit for $29. I ordered mine from AMOR but you can get it directly from their WEBSITE as well. Thanks for sharing this review, I enjoyed reading it since there's a lot of mixed reviews on her products! SAME! I was tempted to get the Highlighters but heard that even they are not impressive. More misses than hits! Thank you for inspiring post) Love it! And I want to try this listick! I've also heard lots of review on the product.. But this shade is kinda cool. I had been debating buying Kylies liquids for so long. Finally plunged and bought Posie K. Worn it only once and it went on really nice and smooth. I didn't feel like I was wearing anything honestly. Lets see how that goes in the longer run. Didn't wear it long enough to really know. Have tried many liquid matte lipsticks and hnestly this one is not as good as the money we paying to get it. I'ld rather get colorpop because same feel and formula to be honest.